Four Paws has constructed a dynamic new tie out stake that is designed to allow freedom and safety for dogs. The Hurricane Tie-Out Stake is equipped with industrial strength metal wings, which keep it safely secured in the ground and next to impossible to uproot. 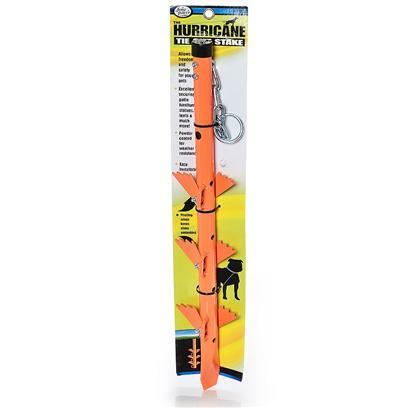 The Hurricane Stake is built to endure the force of large dogs, but can also withstand extreme weather conditions to secure patio furniture, statues, tents and much more.